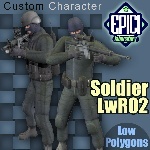 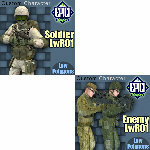 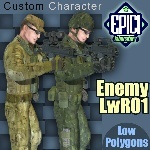 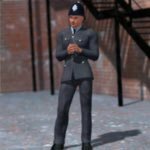 Ike is the 3D clone of one of the six team members of Lince9, assigned to Special Operations at high risk. 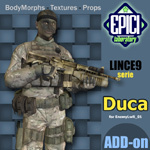 This figure was originally created for some movie productions, including the movie ARANEA by Paolo Bertola. 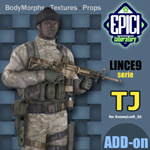 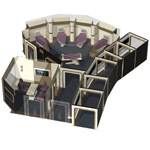 The 3D clones of Lince9 will be used to create scenes which could be too expensive or dangerous to be shot in with live actors. 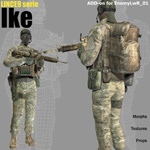 Ike is a specialist in weapons, amphibious operations, martial arts and advanced information systems. 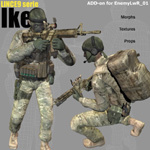 Ike is an add-on for EnemyLwR_01: you must first purchase and install EnemyLwR_01, for this product to work properly. 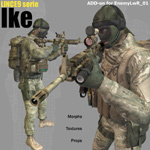 Ike is fully equipped and ready for use. 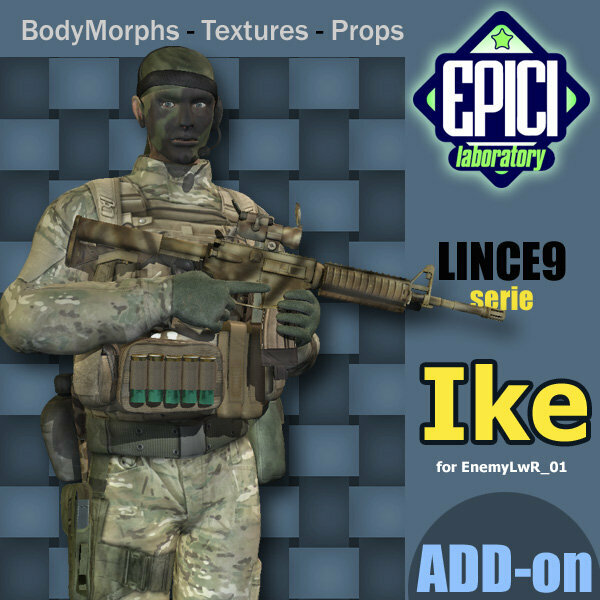 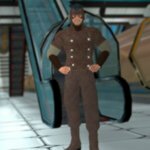 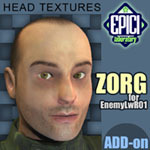 Ike has one bodymorph for the head and body, and various props and textures. 6 basic position-poses are included. 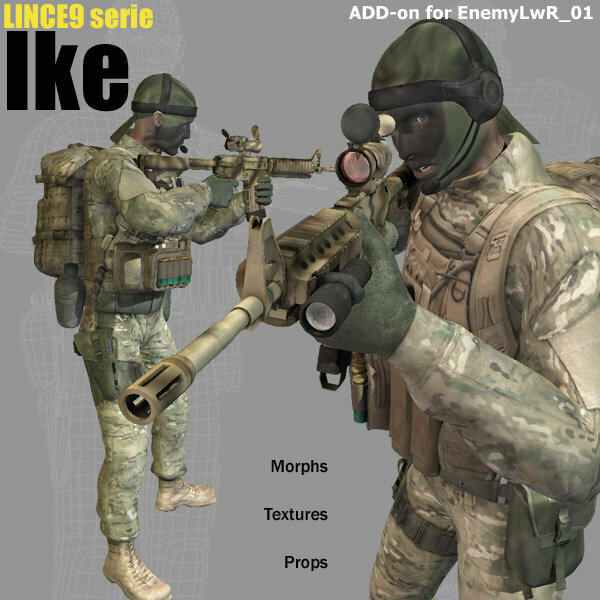 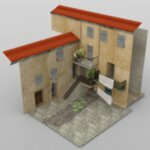 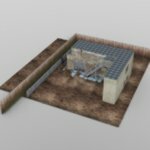 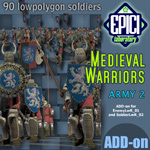 Ike is a low-polygon model, ideal for crowd scenes and complex scenes. 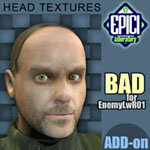 It is not recommended for extreme close-ups. 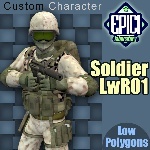 For best results in rendering, always use "smooth polygons" in rendering parameters. 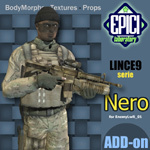 The props have preset limits on morphs, so enable "use limits" when you animate them.